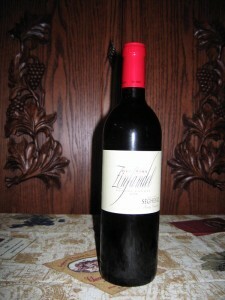 Cutting: A powerful wine with plum, blackberry, pepper and spice characteristics and a terrific long finish. The Seghesio Old Vine Zinfandel from Sonoma County is a powerful mix of plum, blackberry, pepper and spice aromas and flavors. This is a big wine with a terrific long finish. Some tasters observed currant, licorice and cola characteristics. An excellent wine that could benefit from a little aging.